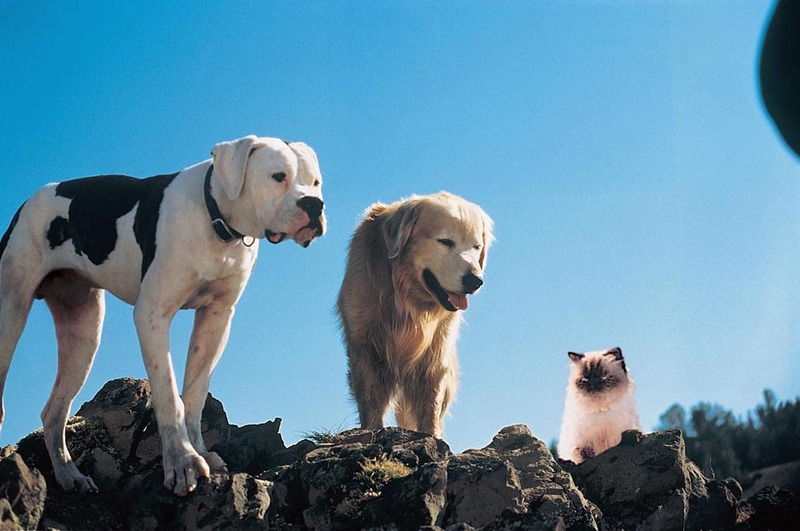 Three pets (Chance, a young dog unfamiliar with the world; Shadow, an aging, wise dog; and Sassy, a snobbish but lovable Siamese cat) are left behind when their family goes on vacation. Unsure of what happened, the animals set out on a quest to find their family. This journey across America is very dangerous and the animals risk never seeing their masters again. The group of pets travel across forested mountains and areas of wide-open countryside, while their family searches for them in the same areas. Rated G. One hour and 24 minutes. We’ll have time for a child-friendly craft after the movie.